"A drink poured out as an offering to a deity"
A true Mid-century Modern portable mini bar on wheels. Chrome lid that opens for mixing drinks. Doors open for ice bucket, bottles, and glasses. 27" long x 17" wide. 33.5" high. 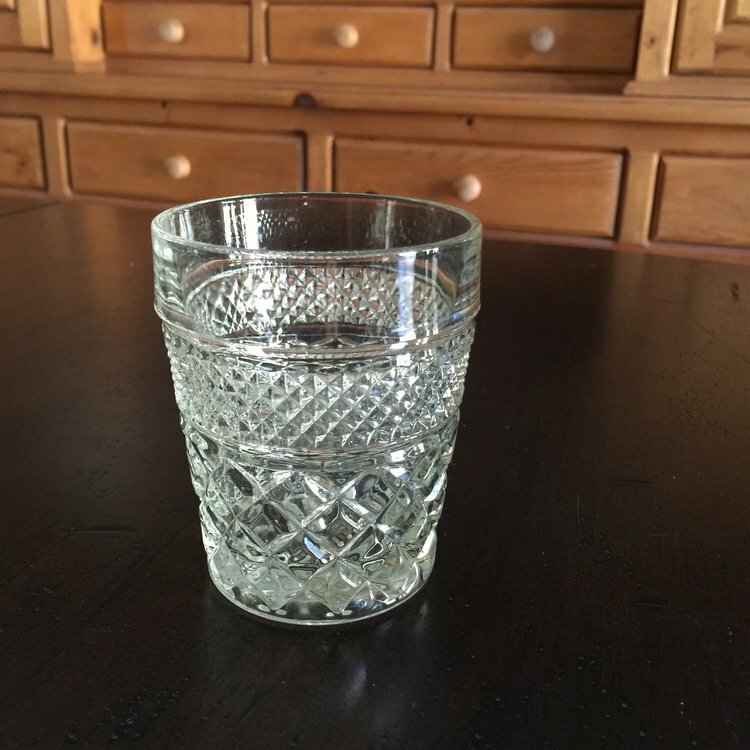 Vintage assorted clear cut glass rocks glasses. Perfect for a scotch bar! Mid-century Modern barware. Mismatched. Short. True vintage, Art Deco, Mid-Century Modern, West Bend Penguin aluminum hot and cold server/ ice bucket. Handles are black Bakelite. A real barware showpiece. Vintage crystal and cut glass decanters. Perfect for everything from water to wine. Great Mid-century Modern barware. 8 oz. shiny stainless steel scoops. Perfect for ice, candy bar, petals. Beautiful Amber glass decanter perfect for any beverage. Includes 8 cordial glasses. 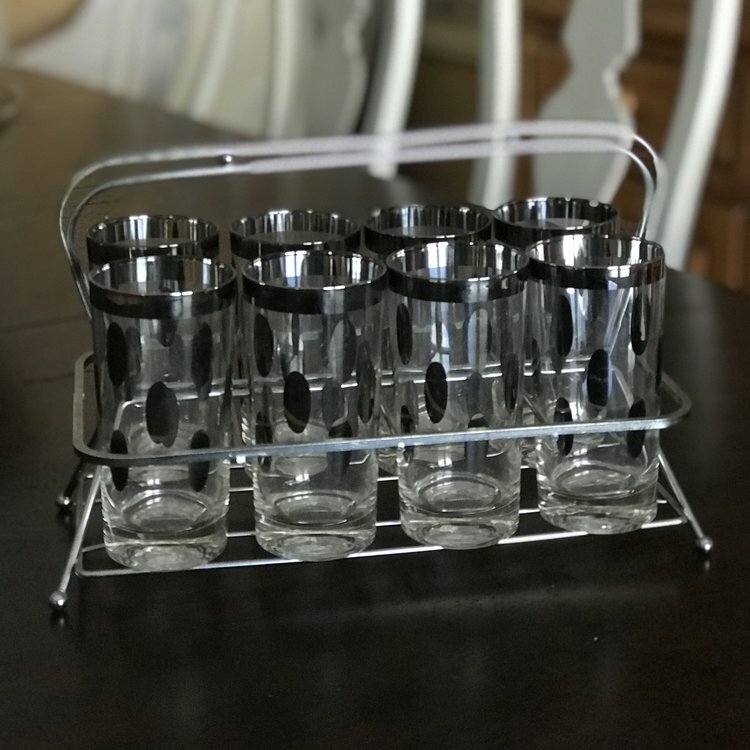 Set of 8 silver dotted Highball Glasses in a silver drink caddy. True vintage circa 1950, straight out of Mad Men. Glasses are 5.5" tall, caddy is 13" long x 8.5" high. 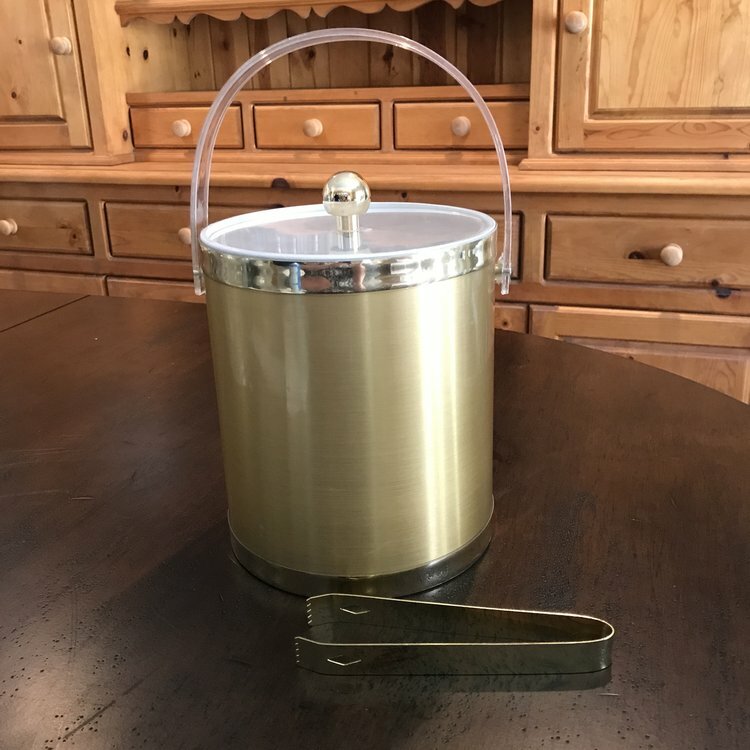 True vintage Mid-century modern ice bucket made out of spun aluminum. Gold metallic with clear acrylic lid and handle. Gold ice tongs included. 9" tall x 8" wide. 24 ounce aluminum scoops. Good for popcorn, candy, ice, or even petals. French oak wine barrels with metal bands. 34.5" high x 23.5" wide.